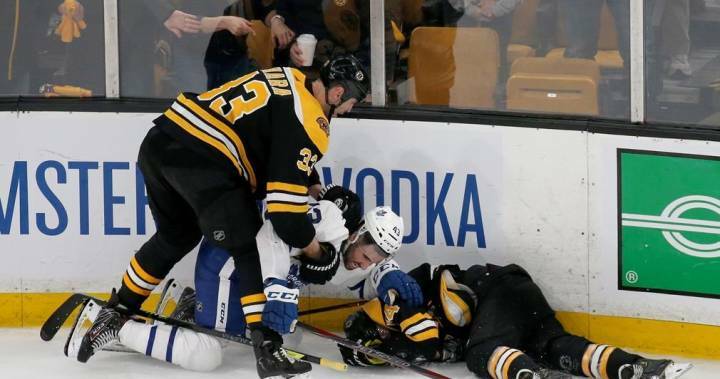 NEW YORK – The Toronto Maple Leafs will have to do without Nazem Kadri for the rest of their first-round playoff series with the Boston Bruins. “This is not a hockey play. Instead, this is a player retaliating against an opponent by using his stick as a weapon,” the league’s department of player safety said in a video. The league added that Kadri’s poor disciplinary track record was another factor in determining that supplementary discipline was necessary.